Jumanji: Welcome To The Jungle was an energetic expedition into genre-loving wilds that channeled Jurassic World and other thrilling creature romps when it landed in theaters back in 2017. True, it did often follow the straightest, narrowest narrative path, but some crack-whip camaraderie and enjoyable role-playing satire ensured it was a thoroughly enjoyable ride. For as many dumb jokes there were in the film, director Jake Kasdan still managed to piece together a deceptively smart comedy that left us yearning for more. And thankfully, we’ll be getting just that with Jumanji 3, which is now in production. 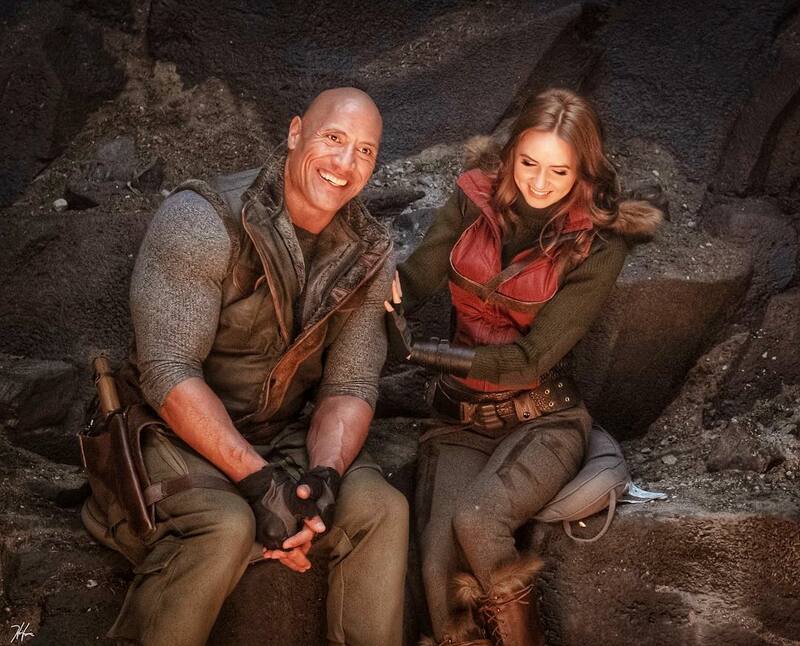 We know this thanks to frequent updates from star Dwayne Johnson, who’s taken to Instagram once again to share a great new photo from the movie. Seen in the gallery down below, it features him and co-star Karen Gillan and they appear to be wearing some new costumes while having a laugh. Unfortunately, there’s not a whole lot about the threequel itself that we can learn from this pic, but based on what the two actors are wearing, it looks like Jumanji 3 could be taking the gang to a bit of a colder environment. That’d certainly make for a refreshing change of pace, but for now, all we can do is speculate on what Sony may have planned for us. What we can tell you with absolute certainty, however, is that Johnson and Gillan will be joined by returning cast members Kevin Hart, Nick Jonas and Jack Black. Ser’Darius Blain, Madison Iseman, Morgan Turner and Alex Wolff will likewise make a comeback as well, playing the teens – Fridge, Bethany, Martha and Spencer – who discover the Jumanji video game in detention and wind up being sucked into it. Beyond that, we don’t know much about what the studio’s cooking up, but Jumanji 3 is set to roar into theaters on December 13th, so it shouldn’t be too long now before Sony begins to peel back the lid a bit more.